When western clothing became fitted and complicated, the use of a pattern ensured the proper cut and shape of a garment. 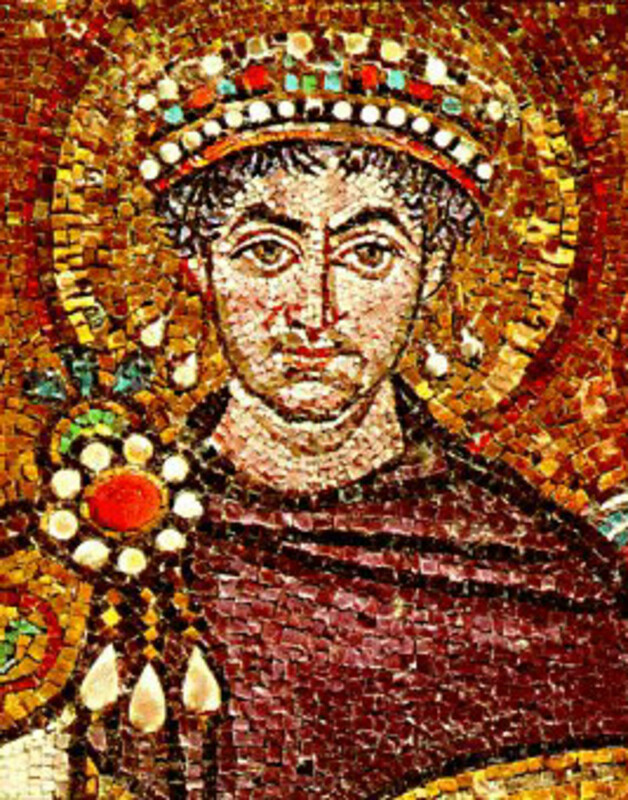 During the Early Middle ages and in earlier eras, garments were fairly simple with detail provided by draping, through the use of belts and brooches, and with embroidery. As the cut and fit of a garment began to grow more complex, tailors and dressmakers relied on patterns. The earliest known instructional book on the cutting of fabric for clothing is Juan de Alleega's 1580 volume, The Book of Tailoring, Measuring, and Marking Out. The patterns depicted were small and drawn to scale for enlargement. Suggested lay-outs offer economical fabric saving tips. In 1588 Diego de Freyle published a 74 page book for the tailoring craft. Styles had changed so new patterns emerged to fit demand. Le Tailleur Sincere by Benoit Garesault is France's oldest known tailoring book. The multi volume series was published in 1769. In the 1700s, women learned of new styles by word of mouth, through travel, and by viewing fashion plates in periodicals published for professional dressmakers. Upper class women had their clothing made for them by professionals. Lower class women either bought used clothing or made simple garments at home. 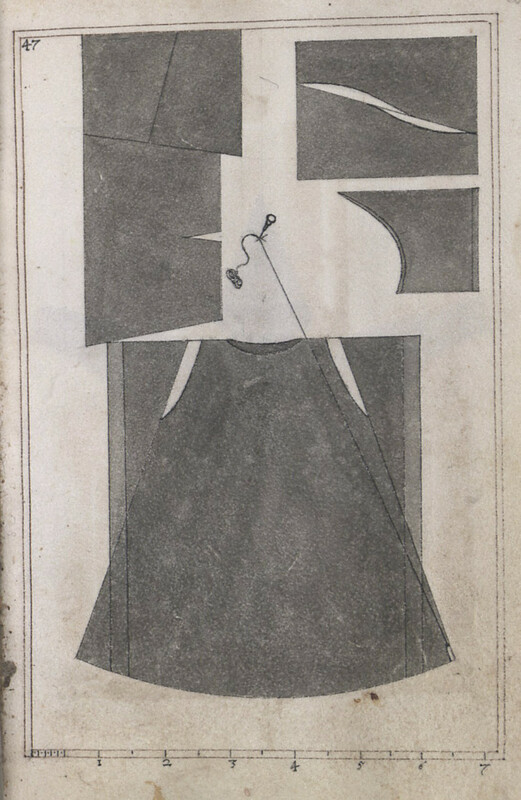 In 1789, a book for the home sewer called Instructions for Cutting Out Apparel for the Poor offered images and simple instructions on how to measure and create garments from square and rectangular pieces of fabric. The Ladies Economical Assistant by "A Lady" showed how to make simple garments at home for the whole family. This 1808 book, like others of its time, assumed the reader had some sewing skills. 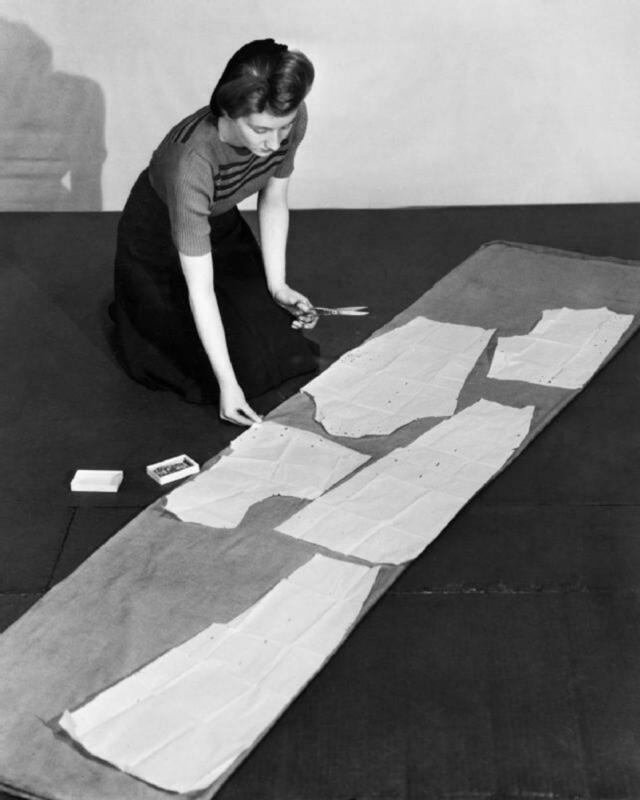 Old methods of garment planning involved strips of linen or paper measured to the proportions of a tailor's clients. The strips were marked and stored by the tailor. By the early 1800s, sewing patterns were very valuable and passed down as heirlooms. Magazines and periodicals became prolific in the early 19th century. In 1828, Tailoring Magazine appeared in New York offering tips and drafting methods to the professional. Color fashion plates appeared in women's magazines as well as in professional periodicals. Pattern companies began to publish magazines and catalogs as marketing tools. By the 1830s many books and magazines offered sewing patterns. 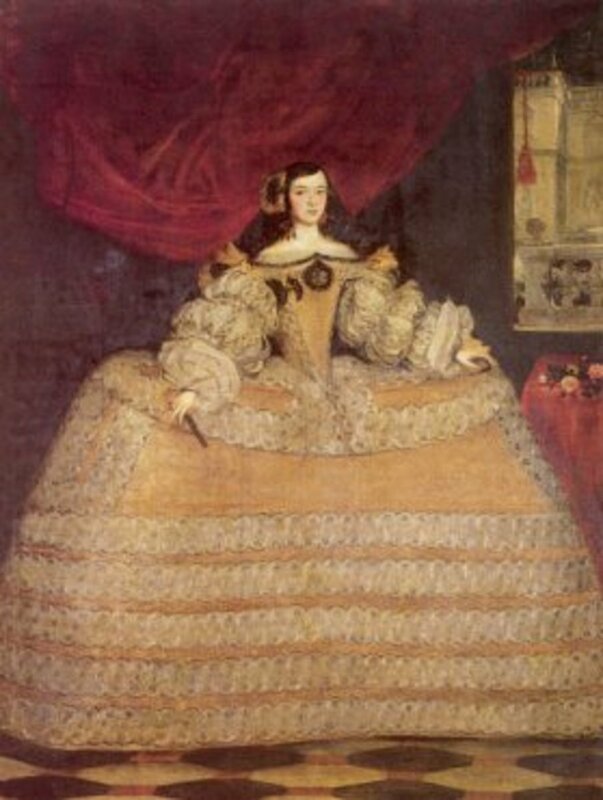 Soon patterns were advertised in women's fashion magazines. In 1833 the French Journal des Demoiselles offered instructions for the home sewer to draft patterns based on measurements. Full size patterns showed up in the 1840s and by the 1850s, the buying and selling of patterns between garment makers was fairly common. Barthelemy Thimonnier invented a sewing machine in 1830 and within ten years owned an 80 machine garment factory that produced uniforms for the French military. The business was short lived due to the wreckage of the machines by craftsmen afraid of being displaced by low skilled workers. In 1846, Elias Howe patented a hand crank sewing machine. Unlike today's up and down needle movement, Howe's needle moved on a horizontal plane. Isaac Singer's foot pedaled machine of 1851 proved easier to use. Singer's machine employed the vertical stitch still seen in modern sewing machines. 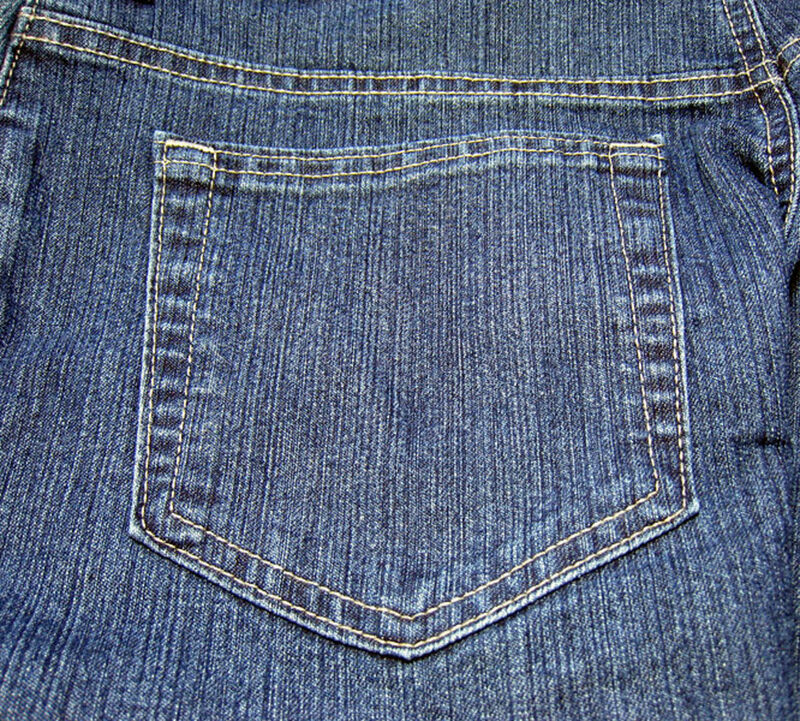 As the mechanism used Howe's double looped thread lock stitch, lawsuits ensued. Once the patent ran out, Singer's machine was followed by other including Wheeler & Wilson, and Grover, Baker and Company. Lightweight machines for the home sewer were very expensive, costing around $125.00 each (that's close to $3,000.00 in today's money). Critics complained that the machines were too complicated for women to use in the home or would leave homemakers with too much extra time on their hands. The introduction of the sewing machine enabled faster production leading to a increase in the ready-to-wear market. It offered home sewers the ability to create garments more quickly than ever before. In the United States, Demorest offered colored paper patterns with contrasting colors for trim. Demorest placed ads for patterns in Godey's Lady's Book, a popular women's magazine. 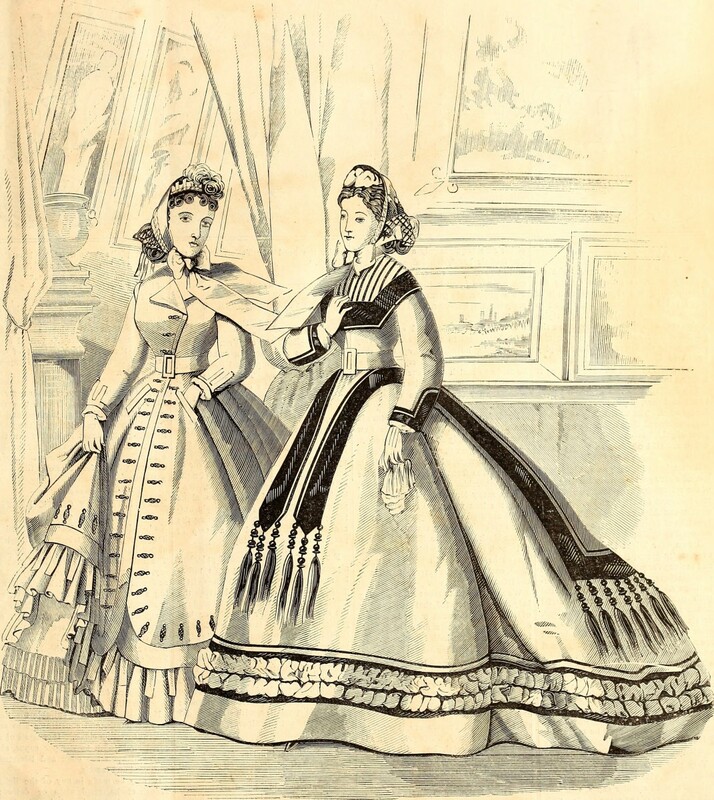 The company moved to New York in 1860 and began publishing Mme.Demorest's Quarterly & Mirror of Fashion to market patterns. By 1871, Demorest patterns came in envelopes that featured illustrations and suggested fabrics and trims. As the railroads increased the speed of transport, it became easier to order patterns from magazines and catalogs. The introduction of money orders made it easy and safe to order products by mail. The pattern business took off in a big way. Full sized patterns appeared in more magazines and more pattern manufacturers created their own periodicals as marketing tools. However, patterns only came in one size so needed adjustment in order to fit. Ebenezer Butterick entered the market and published the Ladies Quarterly Report of Broadway Fashions in Spring of 1867. In 1868, Butterick produced the Metropolitan, a monthly magazine used to market patterns that now came in ten sizes. Harper's Bazar (later Harper's Bazaar) offered pattern sheets printed on both sides of the paper. Shapes had to be traced for use. Begun with one sized patterns in 1867, Harper's offered individually cut paper patterns in 1870. Glascow tailor James McCall emigrated to New York in 1869 to work for Wheeler and Wilson's Elliptic Sewing Machines and went on to publish a Catalog of the Bazar Paper Patterns. Despite the similarity of the names, McCall had nothing to do with Harper's. 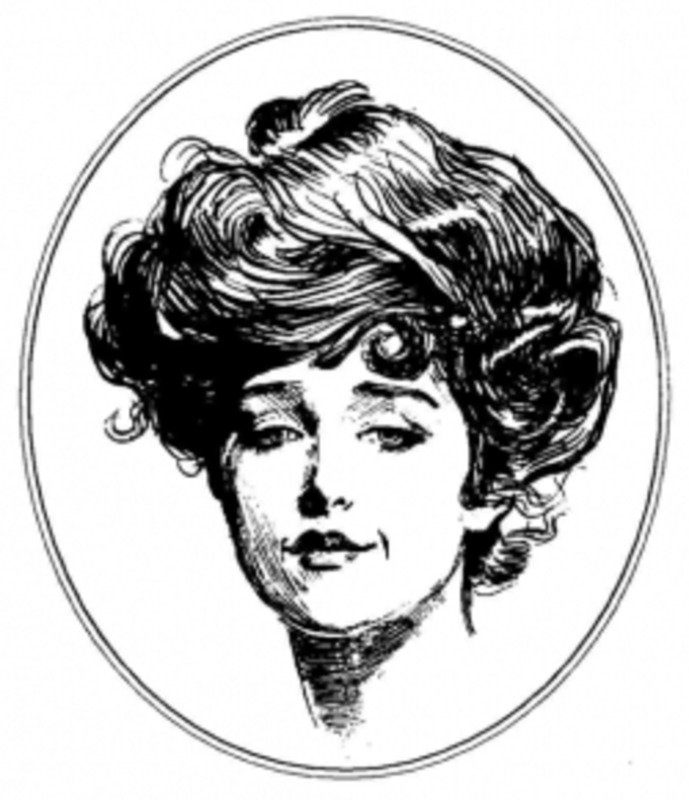 McCall then published a fashion periodical called The Queen of Fashion in 1891 which became McCall's in 1897. By the late 19th century, tissue paper patterns became common. Holes and various shapes indicated placement of darts and pleats while cut notches showed where to join cut fabric pieces. 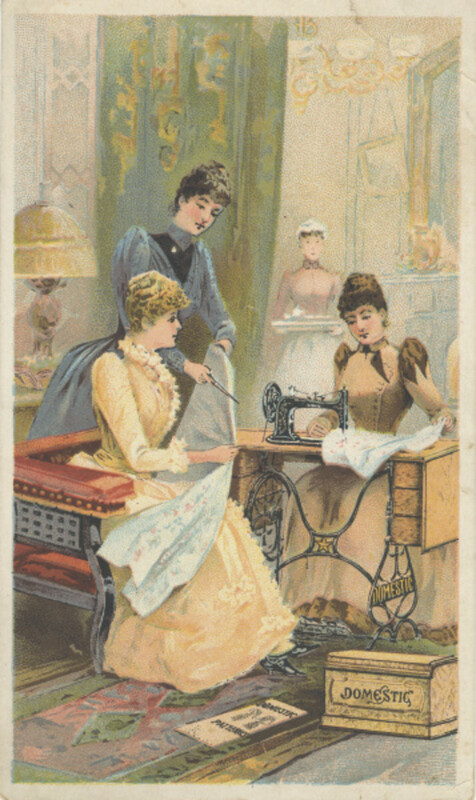 Marketing techniques increased the popularity of sewing patterns. Butterick's Deliniator offered patterns as well as informative articles on sewing methods. Demorest began to include articles of interest to women including articles on social issues. The top pattern companies differentiated their target markets. Butterick offered patterns for middle class women and their children. Demorest targeted dress makers and an upper class market while Harper's targeted the skilled seamstress. Pattern companies began to offer patterns in general magazines like Farm Journal and in newspapers hoping to sell to rural and lower income women. Mail order companies like Sears and Roebuck and Montgomery Ward sold patterns as well as ready made clothing, footwear, and household goods. Pattern makers experienced a slight downturn in the early 20th century as young women began to work outside the home before marriage. The growth of department stores offered ready-to-wear garments for busy young women. Pattern companies needed new concepts to sell their products and pattern costs went down for consumers. Between 1910 and 1920, pattern companies offered more detailed instructions on separate sheets of paper in the pattern envelopes. Pattern companies subsidized dress making schools like the American College of Dressmaking in Kansas City and The Women's Institute in Scranton PA to teach young women pattern making and how to use commercial patterns. World War I created paper shortages and fabric conservation. McCall's featured patterns for garments that used less materials than before the war as well as ladies' work suits for employment in munitions factories. Pattern companies sold practical new styles including patterns for hospital gowns, nurses uniforms, simple aprons, and Red Cross volunteer uniforms. By the 1920s, a new modern world decreased house work with the widespread use of electric irons and other home appliances. Women's clothing styles simplified with less draping or detail than in the past. Sewing patterns became easier to understand and offered more detailed instructions in English, Spanish, and French. Vogue, addressing the high fashion crowd, introduced couturier inspired patterns. Some companies sent representatives to Paris fashion shows in order to create copies of haute couture. Other companies entered into licencing agreements with Paris fashion houses. McCalls offered perfect copies of couturier patterns from Worth, Poiret, and Lucile and included cloth labels in the pattern envelopes. Simplicity entered the market in 1927, offering simple and inexpensive styles. When the pattern business felt the pinch of the Great Depression in the 1930s, Simplicity offered patterns for clothes that were thrifty and easy to make but were based on better styles. Some companies created patterns inspired by Hollywood stars. Butterick sold patterns of costumes worn in films. World War II greatly impacted the fashion and garment industry. Paris lost its influence after the German occupation. Couture houses closed and for a few years the European fashion industry was dead. U.S, designers moved in to fill the void. England experienced clothing rationing for years. When the U.S. entered the war in 1941, the military's need for materials restricted fabric, metals, leather, and other goods needed for the war effort. Fabric shortages led to simplified new styles. Simplicity offered garments that used less fabric. The philosophy of war time conservation led pattern companies to offer dress patterns that used several different fabrics. dresses with contrasting collars, yokes, and sleeves could be made using scrap materials. Make-over patterns showed women how to make a lady's suit by cutting down and making over a man's old suit. Sewing machine production ceased. Butterick offered patterns for female factory workers, nurses in uniforms, and Red Cross volunteer uniforms. U.S. high schools began offering sewing classes that were supported by pattern companies. Home sewing was seen as being supportive of the war effort. Department stores and the Singer Sewing Machine Company offered free beginners sewing classes. 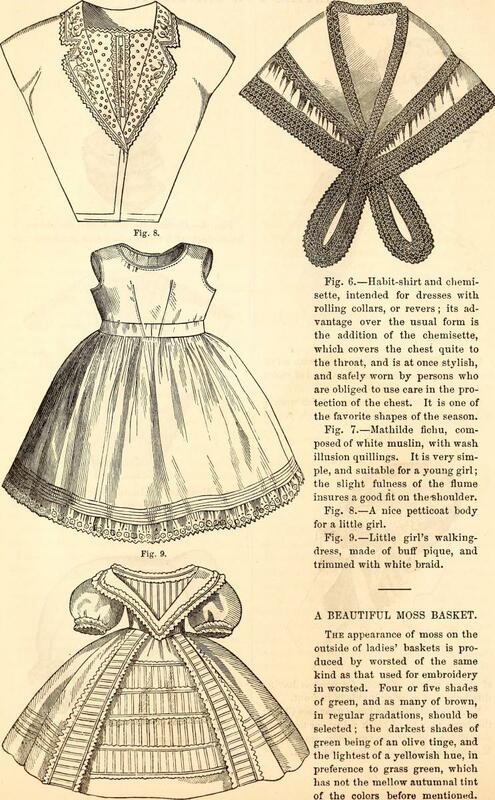 The classes, of course, necessitated the purchase of patterns, fabric, and sewing notions. Outreach to teens created a new market for patterns and led to new teen centered fashions. Rationing continued in Britain until 1954. Paris attempted a return to its former glory by presenting the Theatre de la Mode. Two hundred 27" dolls were meticulously outfitted in the newest fashions and sent on a world tour. Money earned from the shoe helped assist war victims. Dior's New Look of 1947 opened the door for the textile industry with larger, fuller skirts. Pattern companies adapted by using the same patterns with longer hemlines and the use of more skirt fabric. Girls continued to learn sewing in school through the 1950s and 60s. Home sewing became huge in the 60s with many teens making their own clothes. Prices of read-to-wear garments rose while fabric could be relatively cheap. 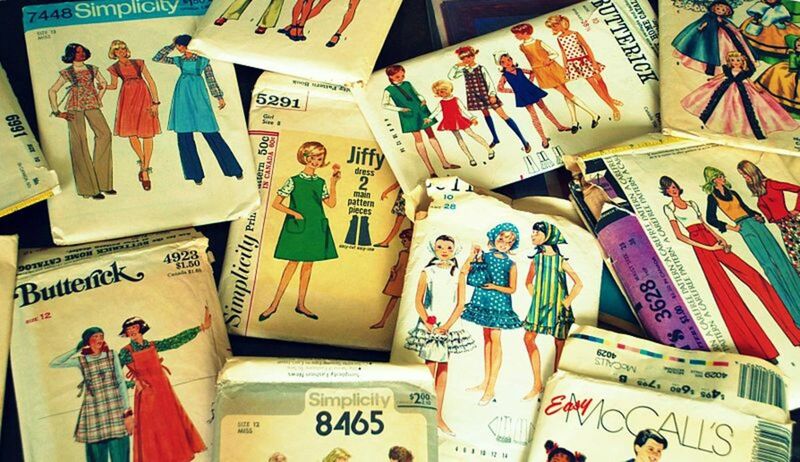 Styles of the 1960s and 70s were often simple and loose, making it easy for teens to sew their own garments. Butterick introduced a line of easy to use patterns called "See and Sew" in 1977. Butterick acquired Vogue patterns in the 1960s. They retained different names with Butterick for mass market styles, and Vogue patterns for couturier inspired fashions. McCall's and Simplicity remained popular in the U.S. while Associated British Patterns dominated the English market. New independent small pattern companies emerged for the era's interest in historic and ethnic costumes. Folkwear offered (and still does) patterns based on folk costume and vintage designs. Home sewing fell off as young mothers increasing joined the work force and had little time for making clothes. Fabric and pattern sales fell and small independent fabric stores went out of business. Pattern companies tried to attract interest through licencing agreements with celebrities and companies like Disney. New patterns created for Halloween costumes, historic re-enactors, Renaissance fair buffs, weddings, and other special occasions became popular. Ratings printed on the pattern envelopes displayed how easy or difficult it would be to sew each garment. In 1986, Butterick labeled each envelope Beginner, Average, or Advanced. Thanks to the internet, more small independent pattern companies emerged. Past Patterns are based on authentic garments made fro the 1780s - 1940s. Medieval Miscellania offers styles of the Middle Ages. Companies specialized in Western attire, maternity clothes, baby and infant outfits. Some pattern companies offer downloadable patterns online. In 2001 McCall acquired Butterick/Voguewhile retaining the original company names. McCall patterns feature contemporary styles; Butterick classic looks; and Vogue offered high end fashion patterns. Hi Carla - making clothing back then was an inexpensive way to go as fabric could be found at very low prices. You can still find affordable fabric. Look for sales and coupons at chain fabric stores. Thrift shops also sell fabric. My problem with making one's own clothing is if you screw it up, you are out of luck. If you buy something that doesn't fit, you can take it back. I still like to sew curtains, bags, and simple items. Thanks for commenting. I have a sewing machine very similar to the one you pictured in this hub. It was my grandmother's. I don't have the lovely base though. The photo of the patterns at the top of the hub sure brought back memories for me. My mom used to make all my clothes when I was in grammar school. I used to get to pick out the fabrics and patterns--within reason. In 1969 or so she made me the first pants outfit I ever got to wear to school. Prior to that, girls weren't allowed to wear pants. This particular outfit had a tunic worn over bell-bottoms, both of which had giant brightly colored crazy daisies all over the white fabric. It seems silly now but it was au courant at the time. Using the sewing expertise my mother taught me, I went on to sew for many years. But eventually I decided it was cheaper to buy clothes than make them. It was truly the end of an era. Hi Ann - thank yo very much! I love those old treadle machines and have the bottoms of 2 as table bases. Crazily, I am on the hunt for one more. I had a complete machine (it even had a little wood cylinder full of needles) but could not bring myself to separate them. Shipped it off to my son's house. That memory of your mother sewing your clothes on that old treadle machine is priceless. Your articles are always so detailed, informative and fascinating. The history alone is amazing. 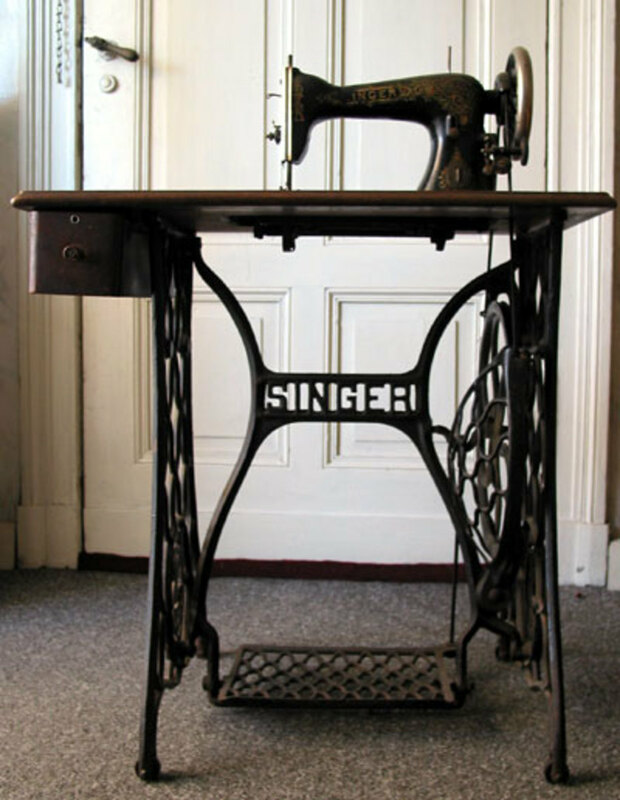 My Mum used patterns often and she had a treadle Singer sewing machine like the one in the picture. Sadly, I don't know what happened to it. She made many clothes for me, including ones for my college 'Going Down Balls' (the dances at each end of term). I thoroughly enjoyed this, Dolores, for the superb details and for the memories it evoked. Thank you. 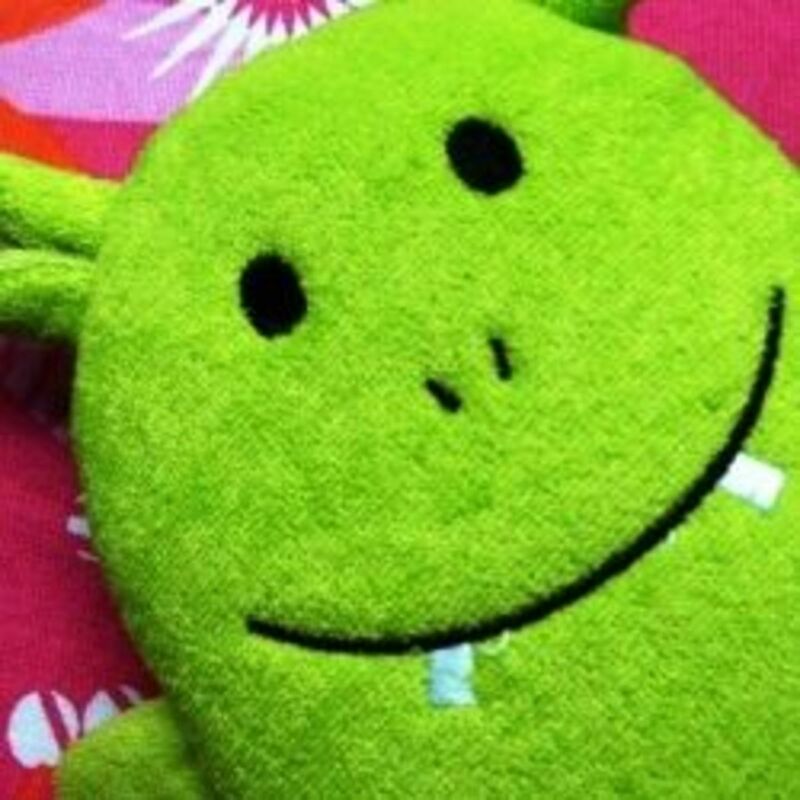 Hi Rochelle - that must have been wonderful, shopping for fabric with your mom and watching how she created garments. A friend of mine made tailored suits for herself when she was just a teenager. Not me! Thanks for stopping by! This brought back many memories. Can’t tell you how many hours I spent in fabric stores while my mom shopped for patterns and material in the 40’s and 50’s. She could sew anything from underwear to wedding dresses ...and she did. Hi Peggy - I so admire people with the patience to use patterns. As a teen, I used simple patterns to make peasant style blouses. My great aunt could go into a high end shop, try on clothes and if she liked them could turn them inside out and study them. Then she'd go home and create her own garments by patterns she'd make from memory based on the things she tried on. Amazing woman. Thanks! Enjoyed reading this! My grandmother was an excellent seamstress. She would often mix patterns to achieve the look she wanted. I did some simple sewing in the 60s making shift dresses and aprons. I never went much beyond that except to make some comforters and decorative pillows. Today I do not even own a sewing machine. I do however have an old Singer sewing machine base such as the one pictured. It has a marble slab top. Hi Glen - well they were quite expensive in the old days too. For a short time both patterns and fabric were cheap, you just had to put in the time. I haven't looked at a pattern in years. Thanks! Hi Dora - I think that dressmaking is a skill that demands a lot of patience and skill. Many today do not have the time. And fabric can be quite expensive. But it sure is the way to go if you have specific desires for your wardrobe and can't find your style in stores. Hi Mary - the early patterns were not the kind that we know but sketched in books. You had to have a lot of skill to expand the patterns into a full sized model. I too love fabric stores but mostly stick to making pillow and cushion covers. A fascinating subject, which raised many happy memories for me. The photo of the woman laying out a pattern on the carpet rang a few bells! Home dressmaking is sadly a dying art - too little spare time for many working people, and it is much cheaper to buy than to make here in the UK. Have you seen the current price of a Vogue pattern! Hi Flourish - I was one of those 60s teens who made clothes from simple patterns, nothing fancy. I should have taken a pic of my own old Singer for this. But I just shipped it out with my son who loves it. I love the old cast iron bases and have a beautiful one as a table base. Thanks! Dressmaking is one of the most important skills that the modern age has taken away from homemakers. Fabrics and patterns decreased in demand and now many ladies who care to dress conservatively complain about the inappropriate styles in the market place. Never thought about downloading a pattern. Thanks for this valuable article. How fascinating. I never thought about when sewing patterns began but to think it was in the 1500's is remarkable. I used to love looking through pattern catalogs and dreaming of making the various styles. For me walking into a fabric store was the equivalent of a man going into a hardware store. It's interesting that the early machines were damaged as people saw their skills would no longer be needed. That is similar to other manufacturers using robots now, where a man used to be employed. I have tried my hand at these types of patterns and have done fairly well considering I don't sew well. The fears of women having too much time on their hands made me chuckle. And that old Singer sewing machine with the cabinet -- I am lucky enough to have one from my great grandmother!